The holidays – and the many visitors and activities that come with them – have come and gone. And for many older adults, the looming question is, “Now what?” The post-holiday season can be especially challenging for older adults who are already dealing with isolation. The sudden and dramatic change in their environment when activities wane and loved ones leave after the holidays can have a profound impact on their mental health. As the population of adults 65 and older continues to explode, we’re learning more about the impacts of isolation. 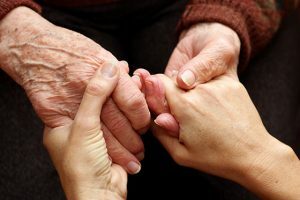 As they age, many older adults are less mobile, have less contact with their social circles and are less likely to connect with family on a regular basis. The impact? Prolonged isolation. According to AARP, isolation is about more than feelings of loneliness in seniors who may live independently. Rather, it’s the result of feeling detached – physically or psychologically – or being disconnected from support groups of family, friends and community. Isolation is becoming so common that the AARP Foundation recently launched a new website – Connect2Affect – dedicated to helping older adults and their loved ones minimize the incidence and impact of isolation. Recent stories in The New York Times and Forbes explored the correlation between isolation and a person’s physical and mental health. AARP suggests the health risks of prolonged isolation are equivalent to smoking 15 cigarettes per day. One of the most significant areas of impact can be on the isolated individual’s mental health. Changes in an older adult’s mental health – specifically depression – can be difficult to recognize. Why? Because the individuals themselves often don’t talk about how they’re feeling. And their loved ones often dismiss the symptoms of depression as a “normal” part of growing older, or they mistake the symptoms as signs of chronic health conditions, such as dementia. Prolonged feelings of isolation, the post-holiday transition and even the change in seasons can intensify these symptoms. FirstLight’s Companion Care Services can provide the presence and companionship older adults need to stay connected and engaged. Whether it’s regular visits for conversation and company, a partner for errands and transportation or help with meals, housekeeping or laundry, FirstLight can be there. Find a location near you today.